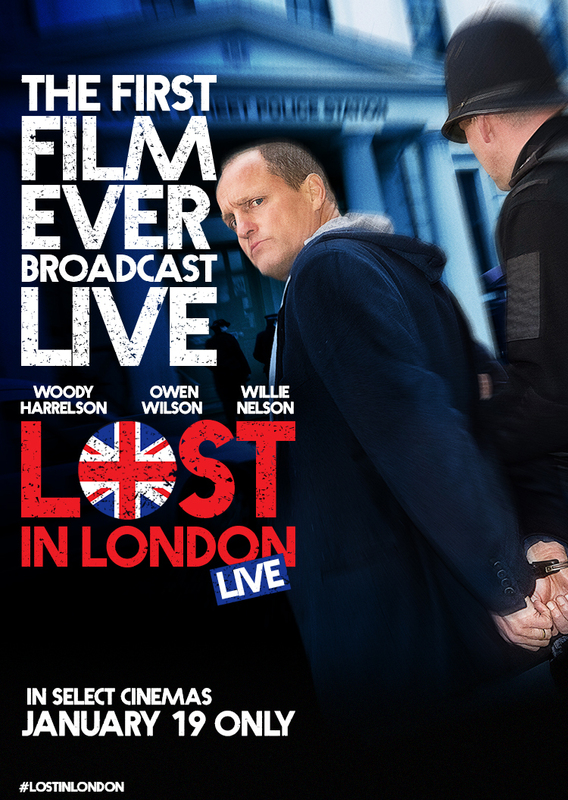 Woody Harrelson directs a semi autobiographical account of a very strange night that progressively gets worse as it goes on in Lost in London. Much will be said about how this film was done rather than the actual content of it. It was a really ambitious project as it was shot in a single take across several different locations while being streamed into a number of cinemas which makes it the first film ever to be streamed live.. The potential for failure was really high so the fact that it was pulled off at all was really noteworthy. As for the film itself; it averages out as being really entertaining. Woody Harrelson plays himself and does it well. Considering the massive strain that must have been on him to deliver as an actor he keeps it together and the way his performance changes feels organic throughout. It’s a very darkly comedic film and Woody Harrelson’s performance continues to remind the audience of that as he juggles comedy and drama in a way that works. Owen Wilson’s appearance in the film is the most entertaining part. He shares a particularly hilarious section of the film with Harrelson where the two actors bounce off one another wonderfully. It devolves into an argument where both of their careers are insulted and it’s just great to watch. There is also a notable cameo from Willie Nelson towards the end that doesn’t really add anything but is entertaining nonetheless. By that point the randomness doesn’t feel too out of place so it all feels like a natural part of the experience. Could the film have functioned without it? Definitely but it’s a nice addition all the same. What lets this film down the most is the story. It’s not bad at all but it’s very choppy which is surprising since it’s a real time single take. Parts of it don’t quite add up and there’s definitely a lot of dead weight to the narrative that could have been cut. There are a number of scenes that run longer than they should just to fill time and some of the conversations continue on past the point where they should have ended. The overall look of the film is fairly choppy as well. A lot of the time the camera shakes far too much which I suspect was unavoidable but it’s distracting to the point that it pulled me out of the film. Trips in moving vehicles are particularly difficult to watch and there are other scenes that are very difficult to follow because of the camera work. Despite that the film looked great. The elegance and dilapidation of London is captured nicely and I liked the way the camera would follow other people occasionally to bring in a part of the story that didn’t involve Harrelson. He does carry the film but there are elements of it that don’t need him to further the story and this is handled seamlessly. The ambitious nature of this project means that I’m being kinder to it than I normally would. As an overall experience I was entertained enough but there are a lot of flaws here. The camera work is choppy and disorienting to the point that I was lifted out of the film, the film is too long with a lot of dead weight that could easily be shifted and the story itself doesn’t add up. Woody Harrelson is excellent throughout as he juggles comedy and drama with an impressive turn from Owen Wilson also playing himself. There’s a fun cameo from Willie Nelson that doesn’t add much but is entertaining nonetheless. Despite its flaws it is a mostly entertaining experience that captures both the elegance and the dilapidation of London as the story progresses. 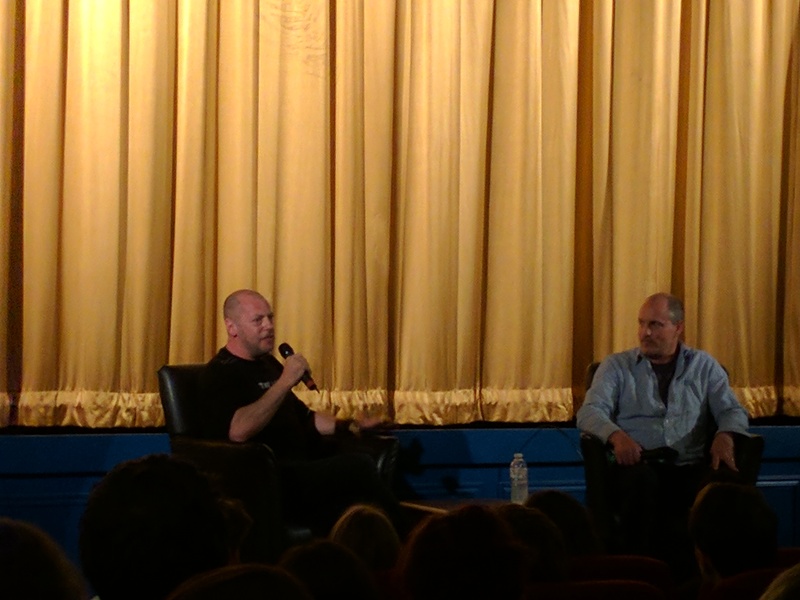 My viewing of this film also featured a Q&A with Woody Harrelson himself where he talked about the challenges he had making the film and pointed out his reasons for wanting to make it the way he did. It was an interesting companion to the film and quite enlightening to hear the details of what made the film actually work. I’ve included a picture of him at the Q&A below.